Experience the wow factor upon entering into this bright and open concept home. 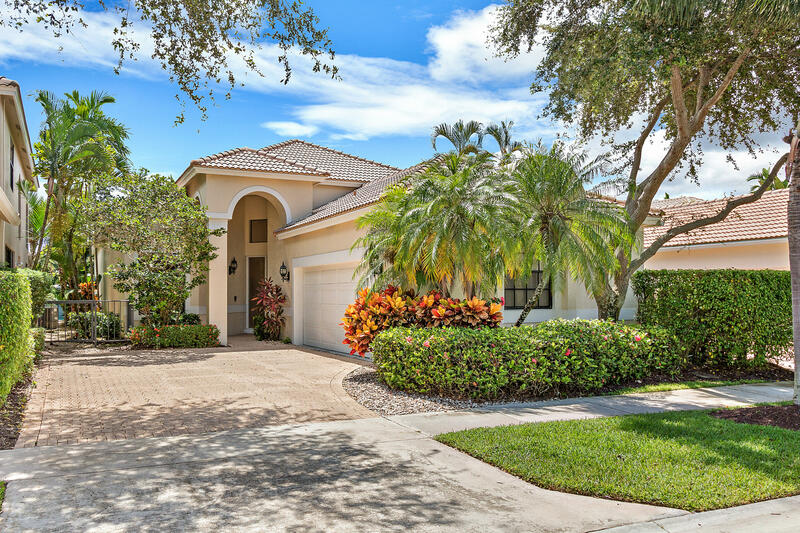 Vaulted ceilings throughout create a very spacious feel to this fairway home located on a gorgeous golf course parcel. Designed with all three bedrooms situated apart, this intimate one level home has the ideal floorplan. The master bedroom provides beautiful expansive views and has direct access to an intimate patio area. Benefits to this home include a new roof and skylights from 2013, a/c from 2014 and hot water heater from 2017. A private community pool is just steps. The home is located in the award-winning Polo Club Country Club and offers numerous amenities and club living at its finest. "Bev Knight is a dynamite real estate agent – dedicated, energetic, resourceful, always therefor you, always cheerful, always thinking of new ways of getting your property out there, always willing to go the extra mile. As an out-of-town seller of an oceanfront "handyman's special," I depended on her for everything. From lining up lawn service to contacting contractors, she was always a step ahead in knowing what needed to be done. With her outgoing exuberance, her years of living in Highland Beach, and her history of service on its Boards and Committees, she has an amazing Rolodex of people who can help solve any problem. My only regret in selling the Sea Frolic is that I will no longer have an excuse to call on Bev for advice, help, and friendship. She's the best!"